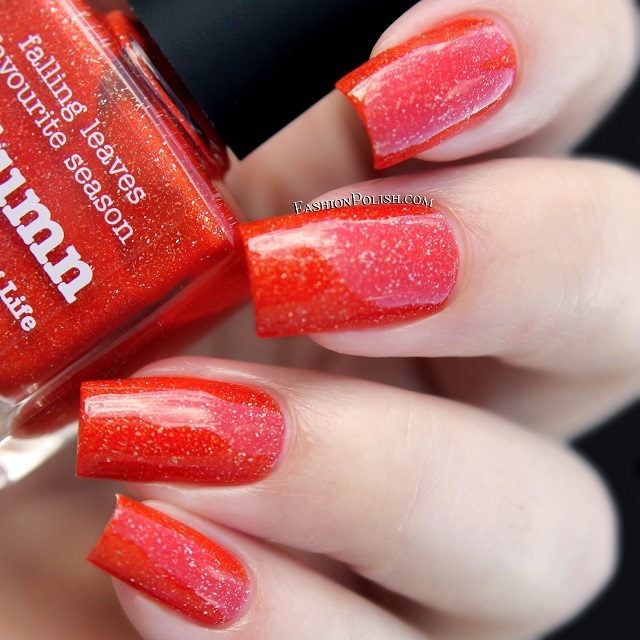 Fashion Polish: piCture pOlish Autumn swatches and review! piCture pOlish Autumn swatches and review! I received a piCture pOlish package a few days ago and I have plenty of pretties to share with you guys. Today's post feature a surprise favorite : Autumn! 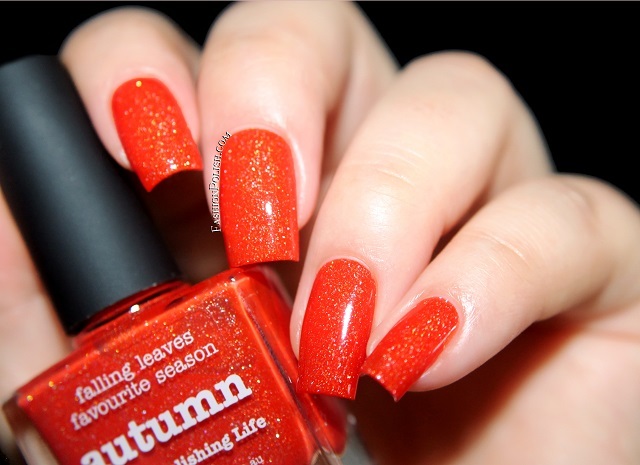 Autumn is a burnt orange scattered holo. That's quite restrictive though as it seems to grown warmer/cooler depending on the lighting. The picture above was taken late afternoon under a little bit of sun and but I took a couple more shots to try and best represent it. Formula was top notch, I used 2 easy coats and no topcoat in my swatches. piCture pOlish Autumn can be purchased on piCturepOlish.com.au (international shipping and everyday deals available) or through their International Network. Make sure to check this page for a list of etailers in your country.